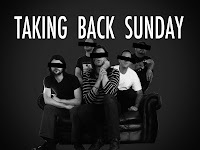 If you are one of the four and a half people who follow this blog, then you know by now, Taking Back Sunday is one of, if not, my favorite band of the past decade. I’ve told you about the dysfunctional members, the break-ups, the line-up changes, the warring of words with past members and other bands. So imagine my surprise when I read before I got out of work that bassist Matt Rubano was quitting the band. Imagine my further surprise by the time I got home, that guitarist Matt Fazzi had also announced he was quitting. I thought for the third time in the past eight years, the sky was falling with Taking Back Sunday. What has transpired since Fazzi and Rubano announced their departures is either the best news I’ve heard since 2003, or one of the sickest, cruelest jokes I’ve ever seen. I believe it is the former, and I type this blog bursting with excitement. In fact, I’m actually typing this blog from home, not only because I’m a loser, but because I can not literally contain myself. Although it hasn’t been confirmed, the writing is all over the wall. Former Guitarist John Nolan and bassist Shaun Cooper appear to be back in the Taking Back Sunday lineup. Yes, the band seems to be returning to its original line-up, one that produced only one record, but one of my favorite albums of all-time, Tell All Your Friends in 2002. I’ve been so excited with the news, I have been telling all my friends. Pun intended. What of it? Yes, that is right. Nolan is going to be replacing Fazzi, who replaced Fred Mascherino, who replaced Nolan as the band‘s guitarist and back-up vocalist. Shuan Cooper will be replacing Rubano, who replaced Cooper at bass. People are dancing in the streets, hugging strangers and alerting their families. The world seems right again. The revolving door continues, however this time, some old friends are walking through the door. Again, it hasn’t been confirmed. But shortly after Rubano and Fazzi announced they were leaving via the band's Web site, a pop up picture appeared with black lines over the eyes of all five of the original members. It looked like a fairly new picture. Frontman Adam Lazzara, when told by a fan on Twitter that the original news of Fazzi and Rubano was depressing for the band, responded with “Is it?” and then continually linked fans to the band’s Web site with the pop up picture. Absolutepunk.net actually crashed when reporting the possible news of a reunion and the article garnered more than 1,000 comments in a little over three hours. 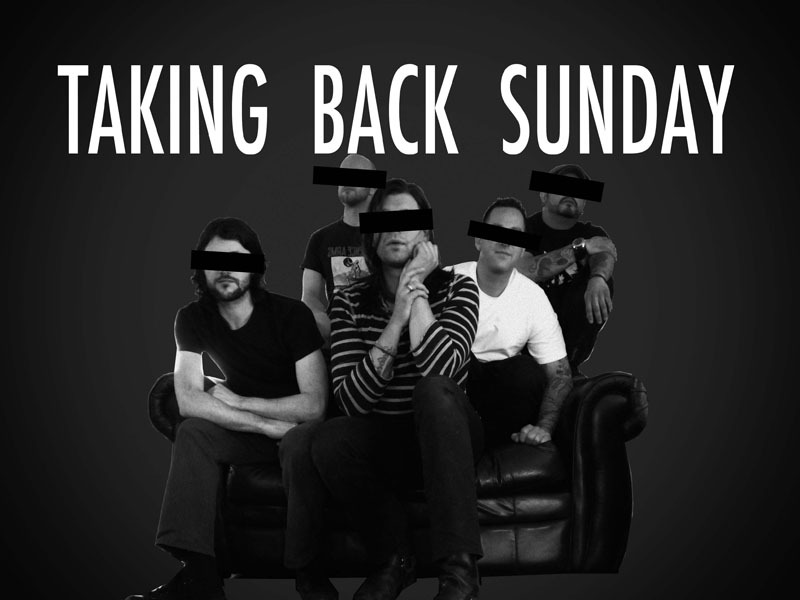 Since their first record, Taking Back Sunday has become a pretty big deal. Their last three albums have debuted in the Billboard Top 10, with two of them debuting in the top three. They’ve headlined major music festivals, toured with the best of the best and have a very loyal and dedicated fan base despite the band’s line-up always changing. I’ve always felt bad for Nolan and Cooper, who went on to create the extremely underrated band, Straylight Run in 2004. Straylight Run signed to a major label in 2007, only to get dropped in 2008 and Nolan and Cooper have done virtually nothing with that band since. Despite Taking Back Sunday’s success over the past decade, it seemed as if something was always missing since their first release. Fans, myself included, have been very vocal about Taking Back Sunday. Yeah, they’re still good, but nothing compared to their first record with Nolan, who was the band’s main songwriter before he departed. They were always chasing that moment, as the American Idol judges would say. They peaked too early, and it was so good, it always kept people’s attention, but never left people quite as satisfied. I said in this blog last June, when the band’s fourth album, New Again, came out, that I had accepted the fact the band will never return to those days. It looks like I stand corrected and I couldn’t possibly be more excited about it. "To everyone in the TBS family, it is with great sadness I am announcing today that I am no longer a part of Taking Back Sunday. The last 2 years with Taking Back Sunday have been beyond a dream come true, from touring and playing with bands that I really admire, to playing new places all around the world, to meeting and working with so many wonderful people along the way. It’s something that I never once took for granted and that I will never forget. I want to thank Eddie, Matt, Adam and Mark for giving me the chance to play and make music with them, if even for a short while. We’ve accomplished a lot in a short time that I will forever be proud of. Thanks to everyone involved for making this such a beautiful experience for me, especially YOU, the fans. You have been so warm and receptive to me since I joined and for this I am forever grateful. As for me, I will continue on with my own music and I hope to see some of your smiling faces around soon.